Former Chester County District Attorney Joe Carroll with DA candidate Deb Ryan. 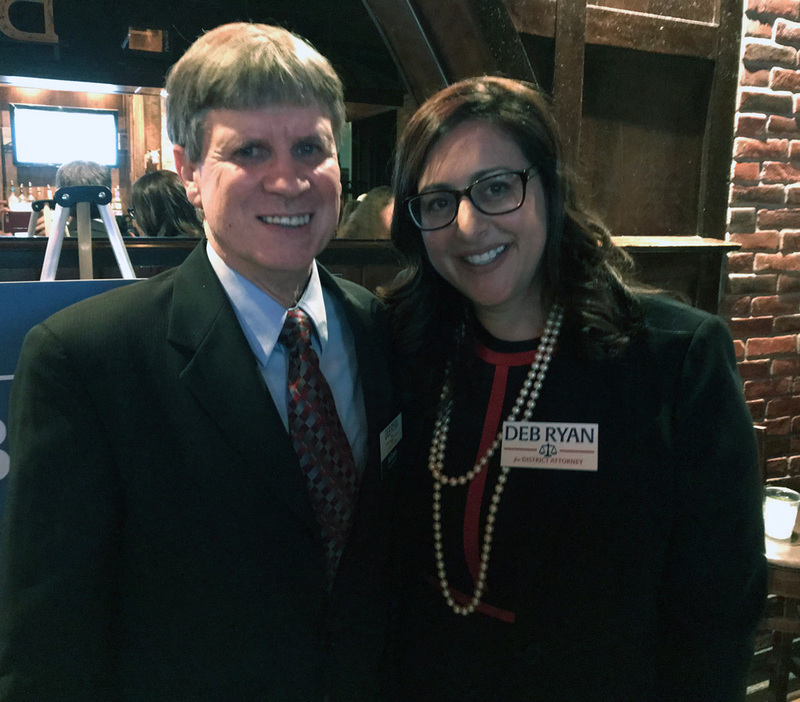 WEST CHESTER – Last Thursday, Deb Ryan officially announced that she will seek a historic election for Chester County District Attorney. When elected in November, Ryan will be the first woman and the first Democrat to hold this office. A seasoned prosecutor with 15 years of experience, and a former Deputy District Attorney of Chester County, Ryan is currently the County Coordinator for the Safe and Healthy Communities Initiative at the Crime Victims’ Center of Chester County, Inc.
As a prosecutor for the Philadelphia and Chester County District Attorney’s Offices, Ryan has handled thousands of criminal cases, including homicides, child abuse, sexual assault, domestic violence, high level drug trafficking, and gun cases—effectively every type of criminal offense. 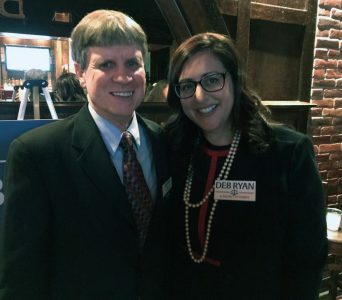 In 2014, Ryan received the Prosecutor of the Year Award for her hard work and dedication to the victims and survivors who she championed in the courtroom. She has been widely lauded for her highly effective teamwork and collaborative efforts with law enforcement— proving she is smart on crime and will ensure justice for all.